Learning to cover a yearâ€™s costs on a budget is just part of the uni experience - and a pretty painful one at that. Here are our top picks for apps to help students manage their money in 2018. Learning to cover a yearâ€™s costs on a budget is just part of the uni experience - and a pretty painful one at that. Fortunately, thereâ€™s an app for that. Well, a lot of apps. Here are our top picks for apps to help students manage their money in 2018. 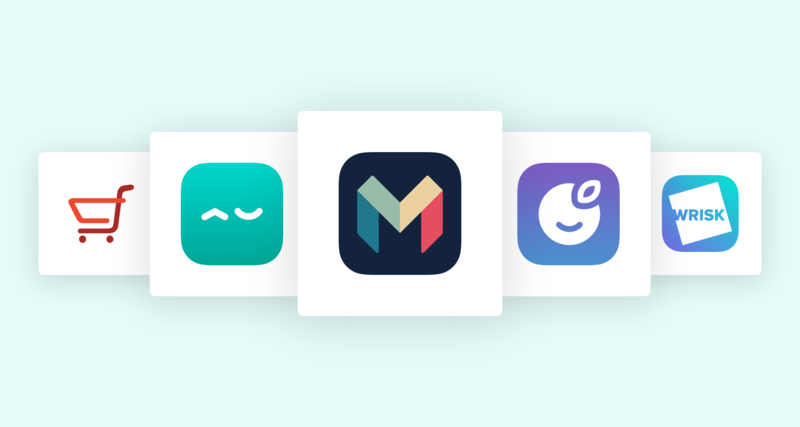 If youâ€™ve already heard about Monzo, itâ€™s probably because somebody showed you the app and told you how much they loved it. The enthusiasm is understandable. As a â€˜challengerâ€™ bank, Monzoâ€™s designed banking for people who organise their lives through their mobile phones. With instant updates and a dashboard in the app, Monzo makes it easy to track what you spend and cut down where you can. Start off by topping it up through your existing bank account and debit card, and just see the difference it makes to know where your moneyâ€™s going (especially if you don't think you want to know!). Chances are you live in houseshare. How do you currently split the bills? Worst case scenario, it involves printouts, highlighters and â€˜Official Housemate Meetingsâ€™. Best case scenario is that you all use Acasa. Acasa is an app that changes your bill provider to their own suppliers and charges each housemate only for their share. Every housemate has to get an account to use Acasa, so you can be billed directly for your share. Not only does Acasa remove the hassle, their providers could actually be cheaper. It also shifts your bill payments to the same date, making it easier to budget monthly. Acasaâ€™s dashboard provides a payment break down between bill and between housemate. For double the data, link Acasa to your Monzo account and see how bill payments fit into the rest of your spending. Fancy being paid to drink? How about to try beetroot ketchup? Checkout Smart gives cashback on stuff youâ€™re (hopefully!) buying regularly. Who wouldnâ€™t want 30p just to use deoderant, or 50p for handwash? Just upload a photo of your receipt and claim your cashback with a few taps. You can withdraw your cash at any time, but once you hit Â£20 you can do it without a fee. Use Checkout Smart throughout the term, and youâ€™ll have enough stashed away to save you from that unintended pre-payday diet. What if a little robot in Facebook messenger could just take money from your bank account and put it into savings, but only at the times it knows you can spare the cash? Well, we live in the future, and with Plum this can be your reality. First, link Plum to your bank account so it can see how you spend. Every week itâ€™ll shift the money you can spare into savings for you, sending you a Facebook message to let you know where your moneyâ€™s gone. This is effortless banking, and could be the difference between spending your holidays backpacking around Europe, or taking on a summer job to clear the previous yearâ€™s overdraft. Getting insurance is just another part of managing your money. Getting the right insurance and understanding how to use it will protect you from unexpected payouts when disaster strikes. A new app for 2018, youâ€™ll be able to download Wrisk and get insurance within minutes. It makes it clear what youâ€™re paying for (and whatâ€™s not included) before you pay a penny. Itâ€™ll even make sure you understand how your price was calculated, and if thereâ€™s something you can change to bring the cost down. Perhaps the best part of Wrisk for students is the payment system. Unlike traditional insurance, which uses contracts, annual payments or direct debits, Wrisk uses a pay-as-you-go insurance: top up when your balance is low, take out the cover you need then stop thinking about it. If your house gets broken into or your phone screen smashed, youâ€™ll be glad you did.